(ver 1.3) In my last few lessons on this subject, I have been going through some of the parables of Jesus concerning the subject of Seeds. In these lessons we learned some very valuable spiritual information that apply to every Christian believer and unsaved non-believer. Jesus used these natural Seed concepts and laws to describe vast complex spiritual realities that we have never seen or could even attempt to understand. The Bible contains more than 200 direct references to seeds in the KJV Bible and certainly many, many more indirect references on the subject can be found. If you have not been reading this series of lessons from the beginning I would recommend that you go back and start with Part 1 first. Today I want to teach you some New testament truths by reviewing and applying some of the basic seed law concepts that we learned from Genesis. We will read and study several New Testament verses that we have not discussed up to this point and learn how seeds apply to them. 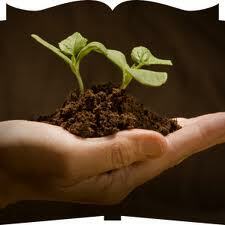 One of the first seed concepts that I gave you was the “Seed within Itself” law and concept revealed in Genesis 1:11. If you do not understand correct Bible interpretation, one rule or law of correct Bible interpretation is called the “Law of First Mention”. By going into the Bible and finding the first occurrence of a subject you are introduced to some basic concepts that are usually critical to understanding the entire subject. So Genesis 1:11 says that the earth brought forth trees with fruit “whose seed was in itself”. We understand this to be a natural law which applies, to fruit as well as to the natural man and woman. This law represents a self-sustaining reproductive system that was designed and created by God. God created one thing and this thing contained the built in capability to reproduce indefinitely, sustaining the existence of the species. In reviewing the parable of the Sower we learned that the Seed of God was the Word of God. It was the Seeds of God’s Words that produces the spiritual fruit in our spirits. So this verse in 1 John 3:9 tells us that we are born of God. We should be able to clearly understand that this is a spiritual birth and not a physical birth and we can confirm that by reading the words of Jesus in John 3. We have previously seen that the human male sperm was called “seed” in the Bible and we can now begin to see a spiritual application taught from the pattern found within the naturally created reproductive process. This verse says that when we are born spiritually, and it came as a result of us accepting the truth of God’s Word. Now God’s Seed is in us and this is a spiritual repetition of the “seed within itself” law. The more of the Word of God you learn, the more of the Seed of God you have in you and the more fruit of God is potentially produced. It is a very basic concept, but yet very profound. So here is another New Testament verse that describes the spiritual Seed of God to be the Word of God. This Spiritual Seed is compared and contrasted with the natural seed of the created man. The sperm of a man is called the corruptible seed. The Greek word translated as corruptible means “decaying” or “perishing”. This is interestingly enough related to the laws of thermodynamics that states everything is in a state of decay around us. Humans are in a state of aging from the moment they are conceived. However, we the body of Christ are Christians that are spiritually “born again”. This birth is not a natural birth, but is a spiritual birth that came as a result of us hearing the Spiritual Words of God. This would be symbolically analogous to our spirits being like the womb of a woman with the fertile egg present. By us lending our ears to God’s Word and hearing it and then understanding it, God’s Word becomes one with our spirit and then God’s Spirit becomes one with our spirit (1 Co 1:16). 1 Peter 1:23 teaches us that God’s word/seed will now “Abide” within us. Abide means to indwell and live in our spirits. This is clearly the seed within itself law from Genesis 1:11. If you have heard the Word of God and have accepted it and know it you have His spiritual seed on the inside of your spirit. Always remember that the Seed of God is in you! God is talking to us about another law concerning seeds in this verse in Galatians. This law is also revealed to us in the first chapter of Genesis 1 in verse 11. However, here God is telling us about the seeds that are sown by a man. Sounds familiar doesn’t it? God says that every man will reap whatever kind of seeds that he sows. This is a basic spiritual application of the first law of seeds that every seed produces after its own kind. When I talked about this law originally, I told you that an apple seed will produce only an apple tree and an orange seed will produce only an orange tree. So what you get in life is determined by what you plant. This verse also says that God is not mocked by those who say this is not true and by those that say that this does not apply to them. In other words God is saying this is the way everything in the world works whether you believe it or not. That was a very strong statement from God. You should be beginning to understand a little better about the power of the seeds that you sow, if you have read this entire series of lessons. If you decide not to believe what you just read, God says you are not mocking the messenger Agapegeek, you are mocking God and I would be very concerned about doing something foolish like that. To me this definition changes the meaning to what I thought it meant to live eternally dramatically and it causes me to shift my thinking differently than I had ever thought before. Eternal life is not living forever; eternal life is your ability to know the True Living God and Jesus Christ whom He has sent forever. That is just a radically different perspective of life eternal. Those who die without this spiritual eternal life will never know God or Jesus Christ and will probably not have a clue why they went to hell. I guess they may have some idea since God speaks of a coming time of judgment and there will certainly be some discussion to the charges against them before judgment is passed if God’s court is like our courts. I guess that last two statements was just my opinions so please do not take them as scripture. I also briefly got off of the subject of seeds to define a term that I think is important for you to know. SEED SINGULAR OR SEED PLURAL? I alluded to this seed concept in an earlier lesson on this subject. I talked about the fact that the word “seed” can be taken as either plural or singular and that it is only determined which one it is referring to by the contextual usage of the word and even that can be very difficult figure out. This is just one of the intentionally designed methods of God used to conceal the truth in the Bible. In this verse in Galatians God is referring to the promise made to Abraham. Since Jesus was in Abraham when God made this promise Jesus was the “Seed” within himself that was to receive the promise. Abraham naturally fathered several children. Ishmael and Isaac are the two obvious sons that everyone remembers from Sunday school. However, Ismael was cast out of the house by Abraham’s wife Sarah and is not the promised child. Isaac was the promised child, the future grand-father to the nation of Israel. But, yet Galatians say that Isaac was not the seed that was to receive this promise. However, again Jesus was also in his father Isaac as the seed. Then the two sons of Isaac were born, Jacob and Esau. Esau, the firstborn was not the selected path either, but the younger son Jacob was. Jesus was in His father Jacob as a seed. I could go on and on through every generation from Israel to Mary and see that Jesus was in each parent. But, none of these were the selected “seed”. Galatians 3:16 says that the promised “seed” that was in Abraham was only Jesus Christ. This was clearly a singular occurrence and not a multiple pattern of seeds being referred to. Hopefully you can better understand how God can look at Abraham and make a promise about his seed, when God was speaking about Jesus Christ who was in Abraham. The Son of God was the promised seed able to fulfill the requirements of God’s conditions, to fulfill the law, to live a sinless life, to die and shed his blood for you and I and to be raised from the dead so that we could forever go and live with Him. To me that is just an awesome display of the wisdom of God. I think I will end this blog today right here. I have just selected a few New Testament applications of the Seed concepts and laws and tried to show you how God used them to fulfill His plan of redemption. Hopefully you are deriving some benefit from these lessons. God Bless! If you would like to continue reading this series you may go to “Part 7“. Posted on August 10, 2010, in Bible Study, Seeds, Understanding and tagged Bible, Christianity, Church, God, Holy Spirit, Interpretation, Jesus, Prophecy, Religion, Revelation, seeds, Symbolism, understanding. Bookmark the permalink. 10 Comments. Very well researched and informative. I found this very useful. Thank you so much for the articles on seeds. They are a real blessing and are bearing fruit in my life and ministry and family. Absolutley fantastic wonderful stuff, I enjoyed this, and learnt so much especially as the theme of seeds runs through my book that I am writing called DarK Seeds 3am Thank you so much for all that you have shared it is deeply appreciated, Debz Lowry. Thanks for studying the Bible with me. May the words be a great spiritual benefit to you and many they cause you to grwo mightly in the Lord. God Bless.